I wrote an article a couple of years ago about how badly we overestimate the cost of solar power. Basically, the idea was that the cost of solar power had dropped a great deal in the previous several years, so if you had gotten a solar quote in 2008, the price of solar you had in your head was probably several times higher than the actual price of solar. If you had a price of solar from 1979 in your head, it would have been about 100 times too high. 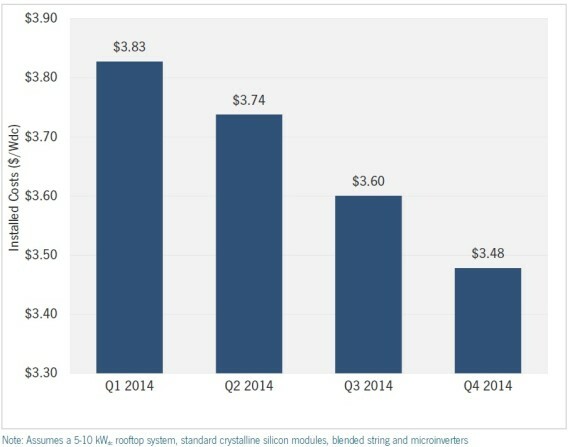 But how fast are solar prices dropping today? First of all, let’s note that there are several things driving down solar costs. For one, as industries mature and grow, the greater demand leads to economies of scale in manufacturing, which brings down costs. Manufacturers as well as installers are also continuously improving and bringing their costs and prices down. It’s also worth noting that a number of strong solar incentives from governments have been cut or reduced in places around the world, which (theoretically) forces solar companies to bring their costs down in order to stay competitive. On the flip side, governmental policies that reduce red tape help a great deal to bring down costs, and there has been a strong push to cut such unnecessary burdens. Lastly, banks have become much more familiar and comfortable with solar, which has brought about more financing options and, most importantly, lower-cost financing. So, again, the story is probably this: If you got a price quote a year or two ago, it was probably quite a bit higher than a solar price quote you’d get today. So lets get this started. I paid $5.00 a watt in 2013, but had a $1.00 watt rebate and the 30% tax rebate, so my cost was $2.80 a watt after it was all done. Thanks. 😀 And yeah, $2.80/watt ain’t too bad. 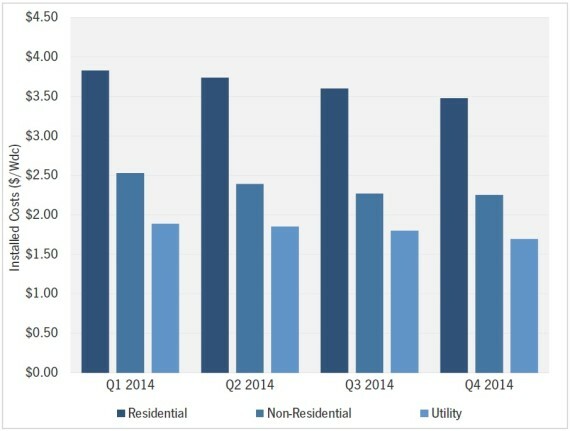 Something a lot of people don’t realize is that solar subsidies are going away, so there may be no point in waiting for costs to come down further since the solar subsidies already make the cost lower than it will be for at least a few years. the ITC is 30% of cost, so i just add that in. Texas doesn’t offer other credits/rebates as far as i know. Our startup wants to develop utility-scale solar EVSE for fleet charging. The applications of this scheme are interesting, including NYC taxis. What are your thoughts on using Nissan NV200taxis in New York with a massive solar installation powering it as a way to rebrand (raise medallion$) the yellow cabs? Could be co-launched during green climate change rally.